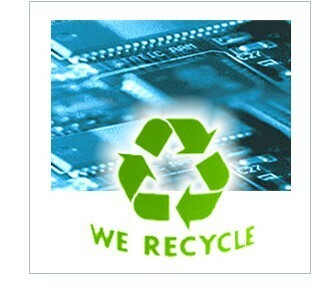 At Computation Ltd. we take great pride in the waste diversion ratio we achieve by processing computer and electronic waste according to our custom-designed Environmental Management System (EMS). We have been able to reduce the waste emitted from our facility to a level approximating that of a single-family home. This allows us to boast of a recycling rate approaching 100%. Equipment can be picked-up from your location by our staff and vehicle at a time of your choosing, or dropped off at our facility by a delivery method of your selection. All data present on hard-disks, and removable media will be destroyed. Equipment will have property and asset tags removed. Recycling and refurbishing processes will take place locally, first in our Toronto and Montreal facilties, and then in neighbouring provinces. On a best efforts basis we will maximize the proportion of equipment reused. Equipment not suitable for reuse will be dismantled, and recycled for its raw material content in an environmentally sound manner. Equipment received will be tracked by our system and a certificate or customized asset management report will be issues upon project completion. This method operationalizes our committment to clients, privacy, and the environment. The end result of this system provides us and our clients, not only with the peace of mind and the comfort that comes with taking a leading role in advancing corporate social and environmental responsibility, but also in complying and exceeding in very specific and measurable ways with the legislation and internal corporate policies relevant to computers and electronic equipment (ISO, WEEE, EHS, PIPEDA, Sarbaines -Oxley etc. — See our reporting section for more information on this).